Lt. Gov. 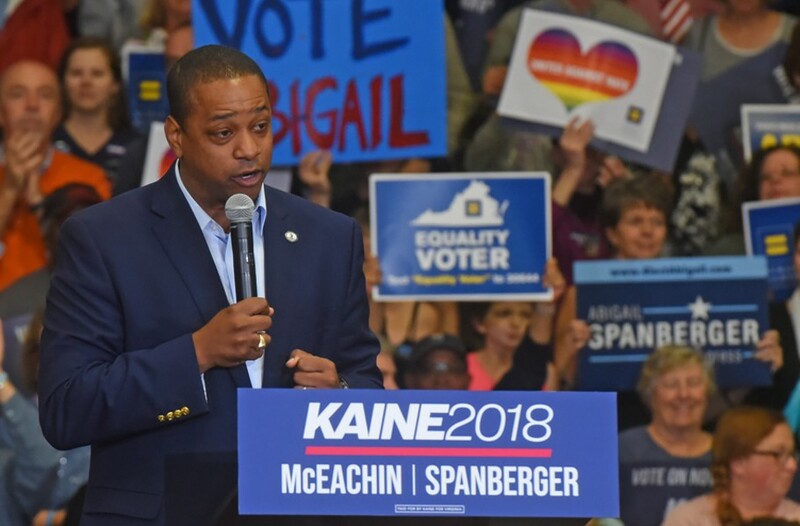 Justin Fairfax denies sexual assault allegation in tweeted statement | Street Talk | Style Weekly - Richmond, VA local news, arts, and events. Lt. Gov. Justin Fairfax posted a statement to his Twitter accounts early Monday morning denying what he calls a "false and unsubstantiated allegation" against him. Fairfax doesn't name the outlet that reported the claim. He says the person making the allegation first approached The Washington Post, who spent months investigating but did not publish a story after finding inconsistencies, red flags and and a lack of evidence. Big League Politics, the conservative news outlet that first posted photos of Gov. Ralph Northam's Eastern Virginia Medical School yearbook on Friday, wrote a story Sunday night based on a tip regarding a woman named Vanessa Tyson, a fellow at Stanford University. She claims a man sexually assaulted her at the 2004 Democratic National Convention in Boston. The website posted a screenshot of a private Facebook post from Tyson. It doesn't name Fairfax, but Big League Politics linked it to him. The post says the man was elected as the Democratic candidate for statewide office "in a state some 3000 miles away" and won the election in November 2017 and "by strange, horrible luck, it seems increasingly likely that he'll get a VERY BIG promotion." The statement Fairfax tweeted just before 3 a.m. says, "Tellingly, not one other reputable media outlet has seen fit to air this false claim. Only now, at a time of intense media attention surrounding Virginia politics, has this false claim been raised again." This is a developing story. Check back to PilotOnline.com for updates.